The Shore: a group of small islands in the Chesapeake Bay, just off the coast of Virginia. The Shore is clumps of evergreens, wild ponies, oyster-shell roads, tumble-down houses, unwanted pregnancies, murder, and dark magic in the marshes. Sanctuary to some but nightmare to others, it's a place that generations of families both wealthy and destitute have inhabited, fled, and returned to for hundreds of years. From a half-Shawnee Indian's bold choice to escape an abusive home only to find herself with a man who will one day try to kill her, to a brave young girl's determination to protect her younger sister as methamphetamine ravages their family, the characters in this remarkable novel have deep connections to the land, and a resilience that only the place they call home could create. Through a series of interconnecting narratives that recalls the work of David Mitchell and Jennifer Egan, Sara Taylor brings to life the small miracles and miseries of a community of outsiders, and the bonds of blood and fate that connect them all. Spanning over a century, dreamlike and yet impossibly real, profound and playful, The Shore is a breathtakingly ambitious and accomplished work of fiction by a young writer of remarkable promise. 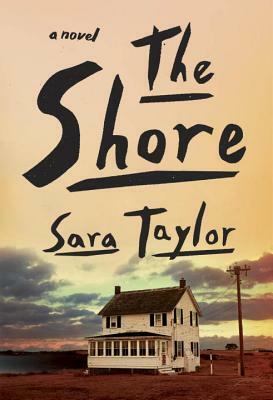 Born in rural Virginia, Sara Taylor is the author of The Shore, which was long listed for the Baileys Women's Fiction Prize and shortlisted for the Guardian First Book Award and the Sunday Times Young Writer of the Year.